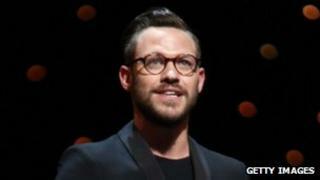 Will Young is set to play the Emcee in Rufus Norris' re-imagining of the award-winning show Cabaret. The production will run at the Savoy Theatre in London from 3 October after a four-week tour of the UK. "I have spent the last ten years, singing, dancing and acting all separately," said Young. "For the first time I get to do all three in one show. " It is the singer's first appearance in a musical in the West End. However, this is not Young's stage debut, he performed in Noel Coward's The Vortex at Manchester Royal Exchange and before that starred alongside Dame Judi Dench in the film Mrs Henderson Presents. On choosing this for his musical theatre debut, Young explained: "The role of the Emcee is a part I have wanted to play since before I started training at Arts Education in Chiswick when I first moved to London." Cabaret includes songs Money Makes The World Go Round, Two Ladies, Maybe This Time and the lead track Cabaret. Set during the Weimar-period in Berlin in 1931, the lead characters - Emcee and Sally Bowles - perform at the decadent Kit Kat Club. The musical premiered on Broadway in 1966, with the film version starring Liza Minnelli and Joel Grey going on to win eight Oscars. The latest stage version will be steered by theatre, opera and film director Rufus Norris, whose film Broken has just received its premiere in Cannes.